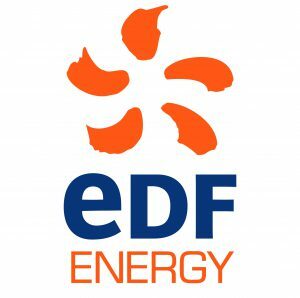 EDF Energy Hartlepool Power Station - Bring it On! The chance to see and talk to so many young people is an opportunity which we relish and cannot afford to miss. We will 'Bring It On' to these youngsters and they can bring their personalities and talents onto us. Hartlepool Power Station has been providing mains electricity to the 1.5 million UK households since 1983 and has done so without producing harmful CO2 emissions which can contribute to Global Climate Change. The Station is on of the seven Advanced Gas Cooled Reactor (AGR) Power Stations and at the Hartlepool Site, two of the AGR use 4% enriched Uranium Dioxide fuel to produce heat. This heat is used to turn water into high energy steam in our boilers. The steam is then directed in our turbines which spin in 3000 rpm and in turn drive the connected generators to make the electricity used in our homes, businesses and hospitals. The power station directly employs about 500 staff mainly in science, technical trades and engineering functions linked to safely operating and maintaining the power plant as it get older and striving to maintain production levels for as long as it is safe and economic to do so. Also on site are another 200+ contract staff, supporting facilities management and core maintenance activities; such as welding and fabrication, scaffolding and thermal insulation, electrical installation and testing, non-destructive examination and catering. At our off-site offices in East Kilbride and Glocester more specialist engineers and scientists help keep all of our fleet of AGRs and our Pressurised Water Reactor at Sizewell safe, productive and well-maintained.